East, West is a collection of nine short stories, six of them published severally before this book was compiled. 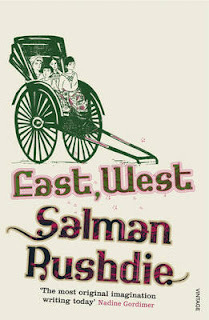 The book has three parts, the first being East with three short stories based in South Asia followed by West similarly set in the other hemisphere and the last portion being East, West where the stories feature Indians settled in UK. With regard to this collection, I was really pleased with the style and the way it was delivered, but then, Rushdie is an author who has never failed to impress me with his writing; but then, I felt, in this case, some of the stories lacked the depth, especially the second portion West creating abstract stories out of an already existing story / incident as the base. 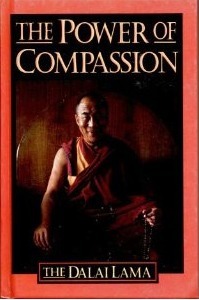 I have been silent on the third portion of the book, East, West as it neither disappointed me, nor did I thoroughly enjoyed, it in fact, took the worst of both parts - East had a very good stories narrated in a simple way and West had average stories narrated in a brilliant unorthodox manner whereas, East, West was a collection of average stories narrated in a simple way. But then, at the end of the day, I wanted a light read and the same time, ingrain the best of writing and I guess I got that satisfied in this book and on the whole, being a fan of Rushdie's works, I did enjoy reading the book, even the stories which I didn't particularly like, I loved the way it was narrated. So yeah, I'd say that it was a good read, but then, owing to the author's past, I guess I tend to set the standard as Midnight's Children and hence, that might probably pull down the rating to six. Vicious Vikings is an instalment in the Horrible Histories series by Terry Deary. This novella contains the features of every other book in the series and I shall repeat them for the sake my readers who have either not read a horrible histories novella or a review of mine of a book from this series. The series aims at kindling interest in history by bringing out interesting facts about mundane topics that you've in your history textbooks in school through interesting illustrations and quizzes and the societal norms during the period covered. Based on what I have said, this book was no different from the others and had every feature of a book in the series, with illustrations elaborating the lifestyle of the Vikings during the period, validating / invalidating the myths or stereotypes as the case may be (the horned helmets, for instance) and yes, at the end of the day, gives the reader an idea about the lifestyle of Vikings, their practices, their conquests and whether they were really as gory as they are portrayed to be. While commenting on the book, I am really unsure as to whether I am being too harsh on my judgement because of the fact that I have grown up; considering how I used to love these books as a child, however, I wasn't all that impressed with this particular book in the series, mainly because, I read this book as a history enthusiast and not a school kid bored of reading his textbooks. To start with, I felt that it was a lot less to do with facts and more to do with myths and legends regarding the Vikings and I really don't know the validity of some of the stories that are in the book considering how the author himself continually dismisses the authenticity of most Viking stories known to us, as most of them have been written based on vague sources post the Gutenberg era. The second aspect I felt was the fact that I was really unsure whether the author was trying to write a book on the Vikings or on Vikings in Britain as most of it involved Viking lifestyle in Kent, Dublin, etc and the names of Harold Godwinson and Harold Hardrada, implying that the focus was largely on Britain, even though, I am not saying it was entirely so, but very clearly, the Nordic countries were mentioned far less number of times than Britain. 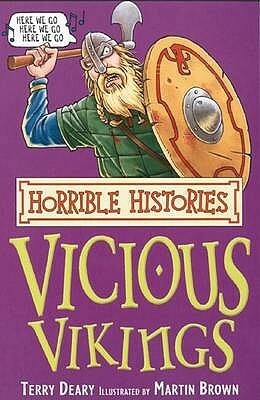 Moreover, there was even a small chapter on Saxons and how gory the Saxons were, which left me wondering as to whether I am reading a book on Vikings. However, at the end of the day, this book satisfies the objective of any Horrible Histories Book is normally expected to satisfy (I was satisfied to the extent that my long pending question on why someone was named 'Bluetooth' was resolved, after all), being, an illustrated light read of a serious topic and is still an excellent book to carry around to kill boredom in a short train journey or flight. So yeah, barring the excessive focus on Britain, I still feel it is a reasonable read, however, I shall not absolve the book of the same, and hence, I shall not give a rating of six (certifying it is good) and hence, restrict it to a fence sitting rating of five.